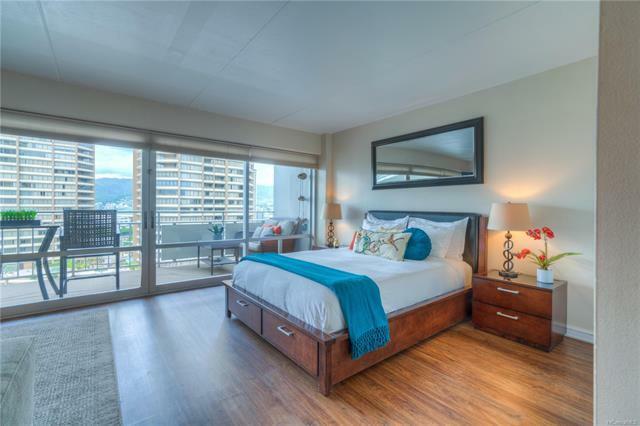 Proven short-term rental income, fully-furnished and turn-key, this mountain/city view unit was beautifully renovated into a tastefully appointed oasis. 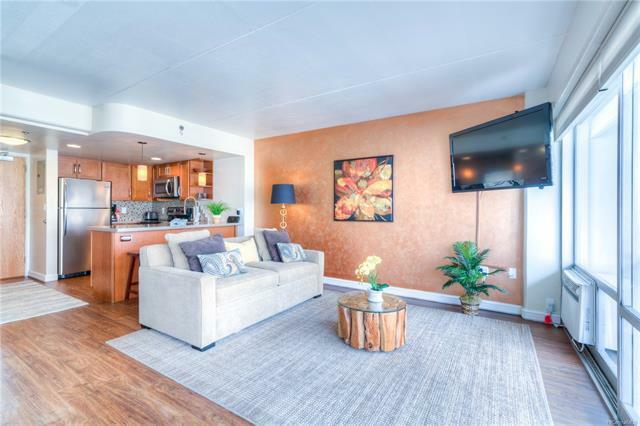 Features fire sprinklers, full kitchen with wood cabinets and durable solid surface counters, vinyl flooring throughout and large lanai furnished for lounging and dining. Just steps away from laundry and elevators, on the cooler side of the building. 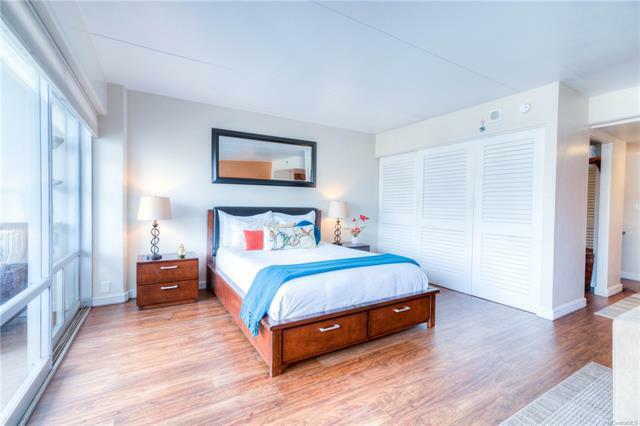 World class, beautifully maintained resort amenities await! Walk to the marina, yacht club, Hilton lagoon and Friday night fireworks at the beach. 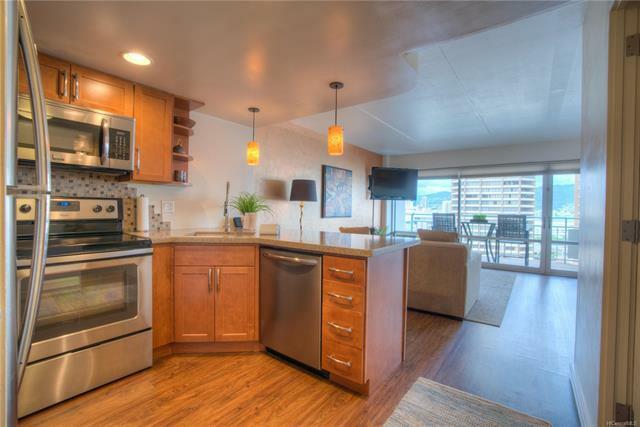 Enjoy all manner of shopping, dining, and play in Waikiki and nearby Ala Moana/Kaka'ako with an enviable Ilikai pied-a-terre!